Born in 1952 in Racine, Wisconsin, Alex Mandli has lived in southeastern Wisconsin for most of his life. At an early age, he became aware of something called “mud crack”—a crack formed in viscous mud beds in the course of drying and shrinking. As a free-range child, Mandli spent many hours playing in open fields with his cousins and neighbors, often playing army in foxholes they dug. He soon became aware of the distinctive smell of damp soil. After it would rain and the ground would just begin to dry, he would return to the mud fields. The sun would bake the mud puddles, making them shrink and crack, which reminded him of potato chips. Mandli’s PF Flyers left footprints in the mud, and after a few days, he could hold that footprint in his hand. Mandli’s first pottery experience in third grade came about because his teacher had a relative who was a potter. The teacher provided the class with enough clay for each of the students to make two objects. Right away Mandli noticed the familiar aroma of moist clay. For the first object, he took a leaf from the playground and pressed it into a slab of clay. After glazing and firing, the image of that leaf became permanent. For the second piece of clay, the students were asked to close their eyes and make a shape that felt good in their hands. After making a rock shape, Mandli burnished it with a metal teaspoon, which made it very shiny. His first foray into ceramics was so meaningful that he kept those two objects for many years. With his new interest in art, he enrolled in children's classes in drawing, painting, and ceramics at Wustum Museum. One of his teachers was Michael Monroe who later became an influential figure in contemporary American craft. In his middle and high school years, Mandli spent a lot of time in the art rooms. 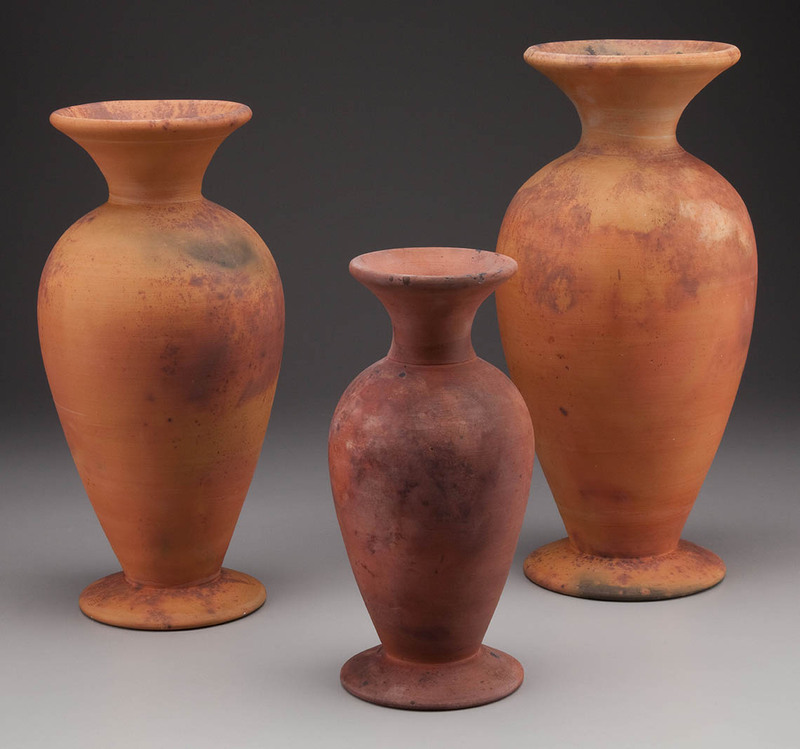 Even though he dabbled in clay growing up, it was a ceramics class in his first year of college at the University of Wisconsin-Oshkosh that really sparked his interest in pottery. 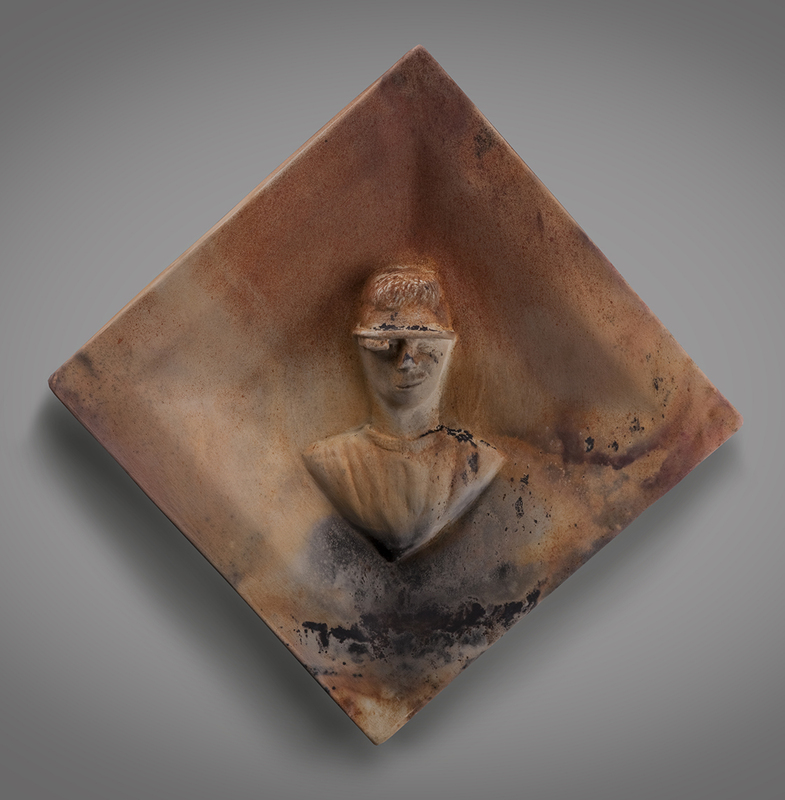 The ceramics professor—Paul Donhauser, winner of the Grand Prize at the International Ceramics Competition in Faenza, Italy—opened Mandli’s eyes to ceramic techniques, materials, and most importantly, the joy of working with clay. In Mandli’s second year of college, he was hired to work in the college’s ceramic studio. During that year, Warren MacKenzie, a world-renowned Minnesota potter, had a one-week stint as an artist-in-residence. 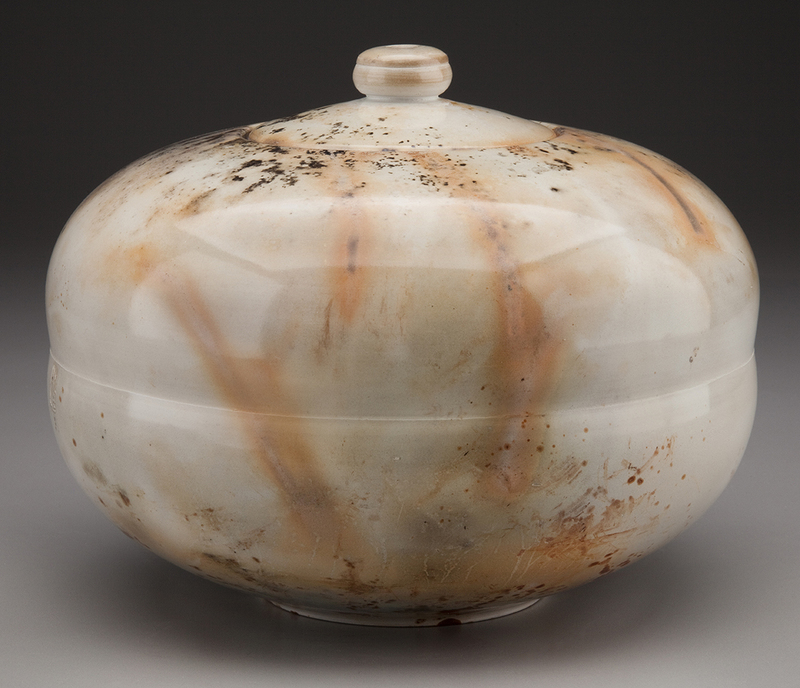 MacKenzie was at the forefront of the studio pottery movement at the time, making a living from his craft by making simple, functional pots inspired by Asian ceramics. In talking and working with MacKenzie, Mandli realized he might want to be a studio potter, too. After completing his Bachelor of Arts degree in Art Education at the University of Wisconsin-Parkside, Mandli began teaching art in area schools, something he continued to do on and off for thirty-seven years. In addition, he has been an artist-in-residence in numerous schools, receiving two Wisconsin Arts Board Grants as an artist-in-residence. 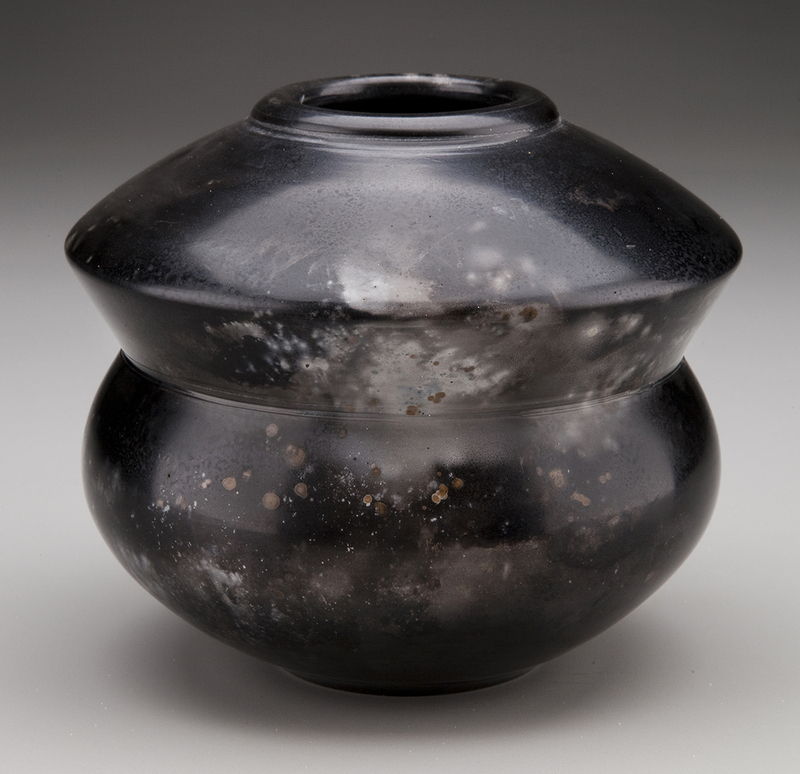 In 1978, Mandli built a salt kiln and established his first studio in Kenosha, Wisconsin. 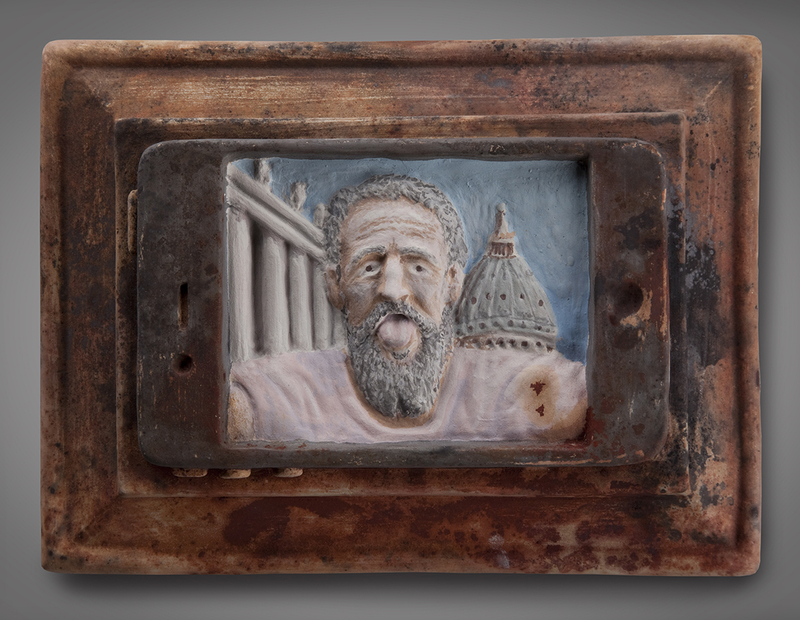 To continue his development as a potter, he worked intermittently with ceramics professor Phil Powell at Carthage College for over twenty years, eventually earning a master’s degree in 2004. A workshop in 1980 with potter John Glick turned out to be another pivotal moment in Mandli’s career. At that time, Mandli was preparing to leave teaching to become a studio potter. As a practicing studio potter, Glick taught Mandli the technical practices necessary to have an efficient studio and he encouraged Mandli to take the leap into studio work. 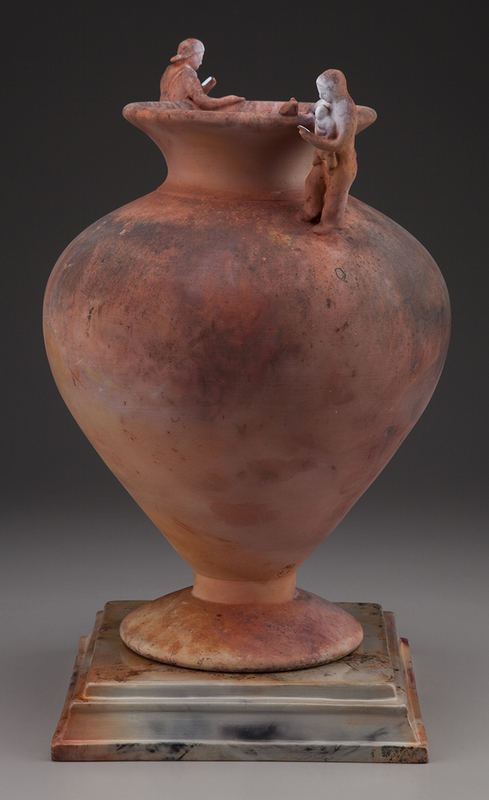 From 1980-1986, Mandli advanced his craft every day by working full-time as a potter in his first studio in Kenosha. After 1986, he resumed teaching part-time while continuing his studio work the rest of the week. In 1988, Mandli moved to Racine and created a studio in his home, where he continues to live and work. 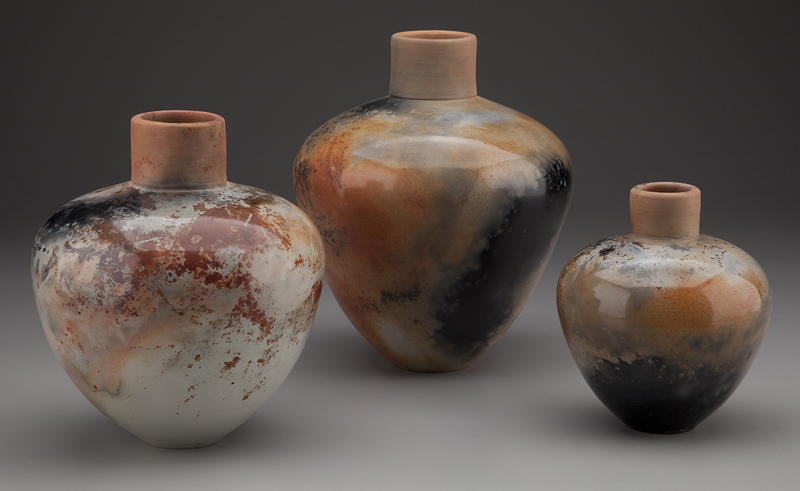 Mandli’s forty years as a potter has led to his work being exhibited in many juried exhibits and galleries around the U.S. and in other countries. Particularly notable exhibits have been the three times—1999, 2000, and 2007—his work has been selected to be part of the Smithsonian Craft Show in Washington, D.C. In 2011, Mandli became a full-time potter again. When he opens a bag of clay today, the scent of moist earth still gives him a sensory memory flashback to his childhood.